HEY INDIE-ROCKERS, YOU MAKE MY HEART SINGIN'. 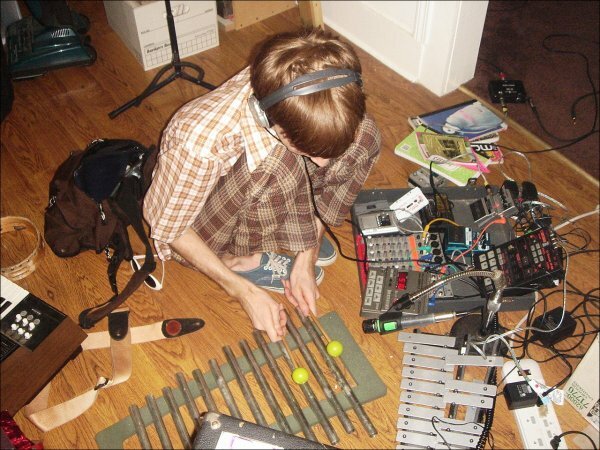 PHOTO : Bradford Cox, recording some Deerhunter's material. Here.